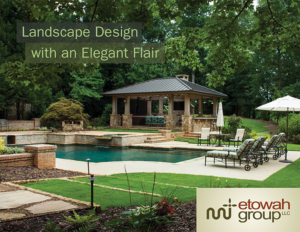 The Moneys worked with Etowah to combine their family’s vision with our design and construction knowledge to create an entertaining and relaxing area. 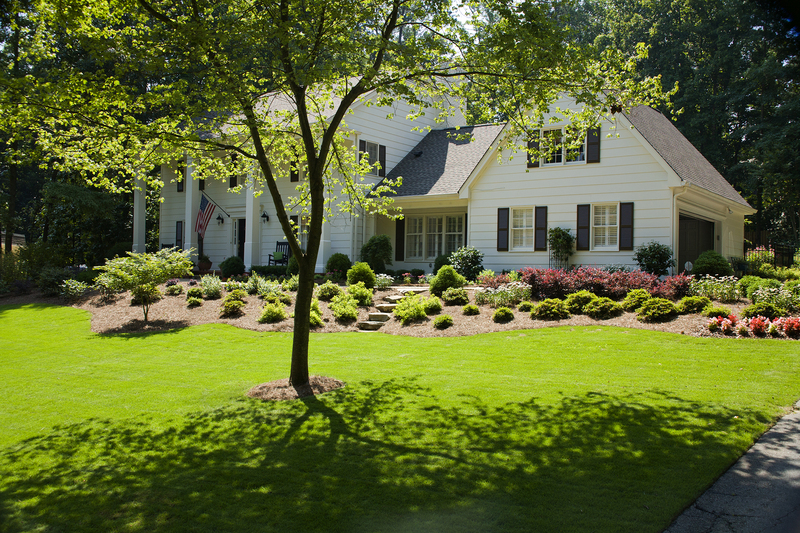 Our innovative design and installation team has been helping the Money family for more than four years, and we will continue to work hard for many more. 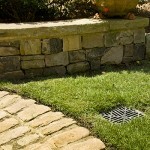 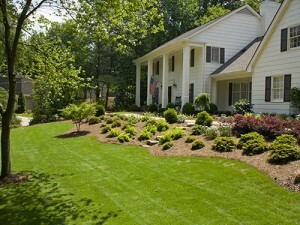 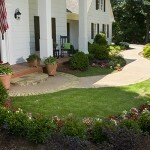 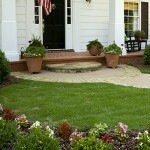 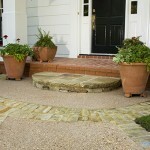 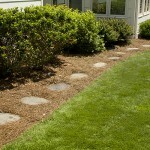 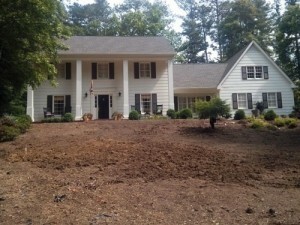 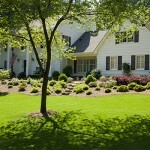 In the front yard the existing lawn required plantings to support a positive slope for drainage. 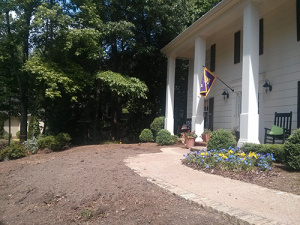 The front yard was very overgrown taking space from the open lawn and making for an unsightly view. 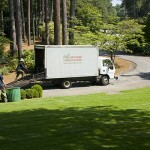 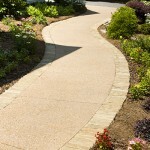 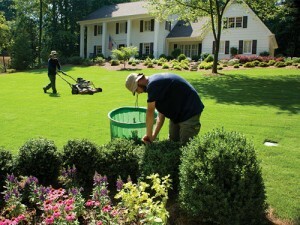 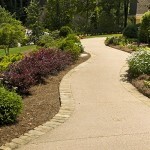 Etowah Landscape provided detailed plans to create textures and colors using zone-appropriate plants that required little maintenance and created soft and lush plantings. 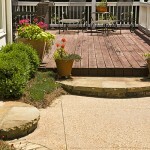 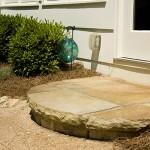 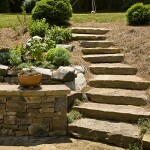 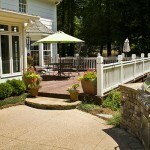 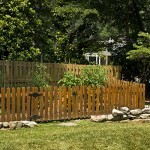 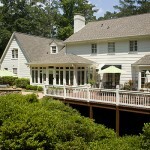 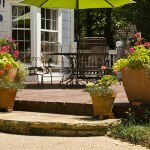 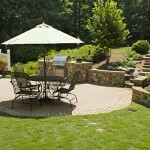 The backyard needed to be designed for entertaining as well as personal quiet time. 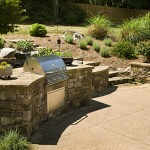 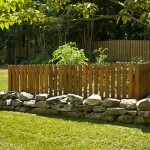 Etowah created an outdoor grill perfect for gatherings that served as a retaining wall for the dining patio. 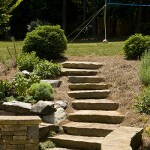 Natural slab steps lead to an upper open garden where we created an elegant rectangular pool with fire pit and stone seat wall. 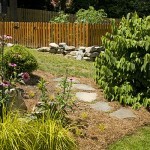 Lush flowering trees and shrubs continue in the rest of the upper garden. 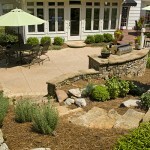 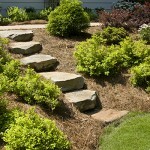 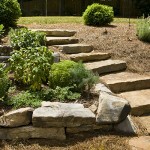 Creating a dry creek bed added an enhanced woodland look that the Money family now enjoys.